This super moist or extra moist mini chocolate banana muffins recipe is perfect to make the most moist chocolate banana mini muffins if you have leftover ripe bananas at home. This easy, delicious and homemade chocolate banana muffins recipe is eggless as well! I have more mini banana muffin recipes in my blog like this easy vegan chocolate banana mini muffins and easy mini banana muffins with chocolate chips. I made 24 mini chocolate banana muffins following this easy eggless mini chocolate banana muffins recipe, you may also use a regular muffin mold to make large muffins instead, however the baking time may slightly increase for large muffins. 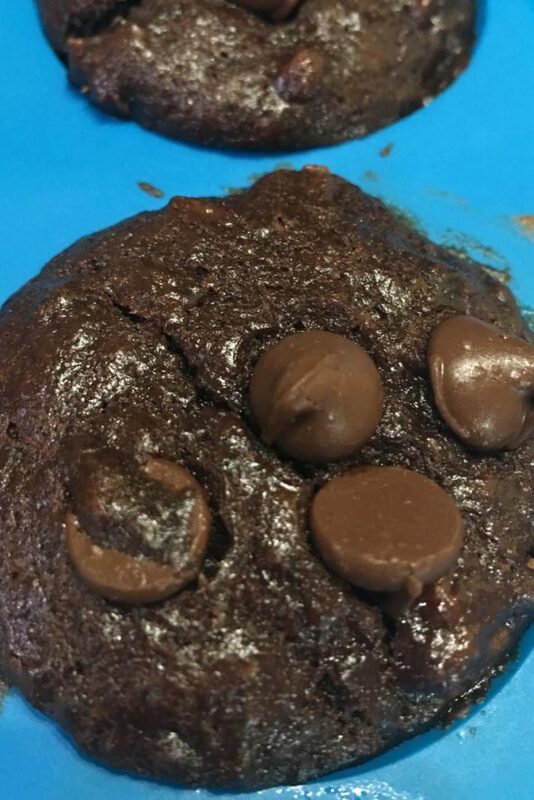 This is a different recipe for making very moist and delicious chocolate banana mini muffins with chocolate chips so do try this one if you are looking for an easy and moist chocolate banana mini muffin recipe that also have delicious chocolate chips in it. The addition of chocolate chips is a must as it helps to make it so moist along with applesauce, mashed bananas and also full fat butter. These mini banana chocolate chip muffins are one of the best mini muffins which are kid friendly too, so you can prepare this quickly as an evening after school snack or you can prepare this at night and enjoy this for next day morning breakfast. 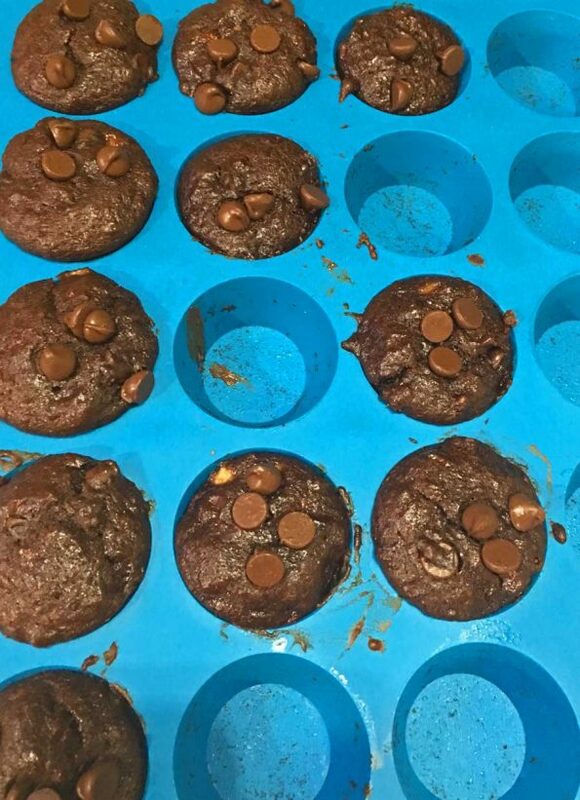 As you can see from the above picture, these mini chocolate banana muffins are made using the the silicon mini muffin tray and it is so easy to take the muffins out of those mold as they do not stick to the molds. 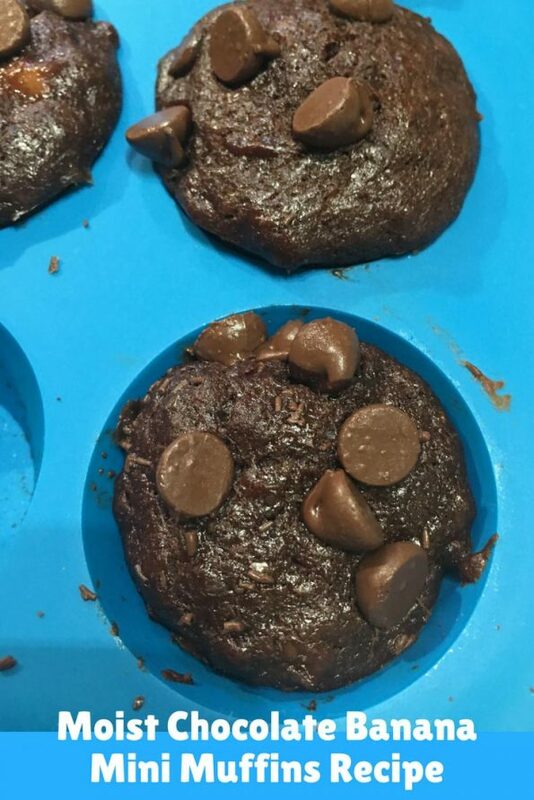 So here is how you can make this quick, easy and delicious mini banana chocolate chip muffins following this easy recipe. This eggless mini chocolate banana muffins with applesauce and chocolate chips is so moist, delicious and easy to make. In a large bowl, mix together the dry ingredients - flour, cocoa powder, baking powder and baking soda until well combined. In another bowl, beat well the butter and sugar, then add the applesauce, vanilla essence and mix well together. Mash the bananas very well in a different bowl and add this to the butter sugar applesauce mixture, and mix together the ingredients until well combined. Transfer the banana butter mixture to the dry flour mixture and stir well to make the batter, make sure to mix it without forming any lumps. You can use a balloon whisk to make the job easy. Finally add the one cup of chocolate chips and gently mix in with the muffin batter. 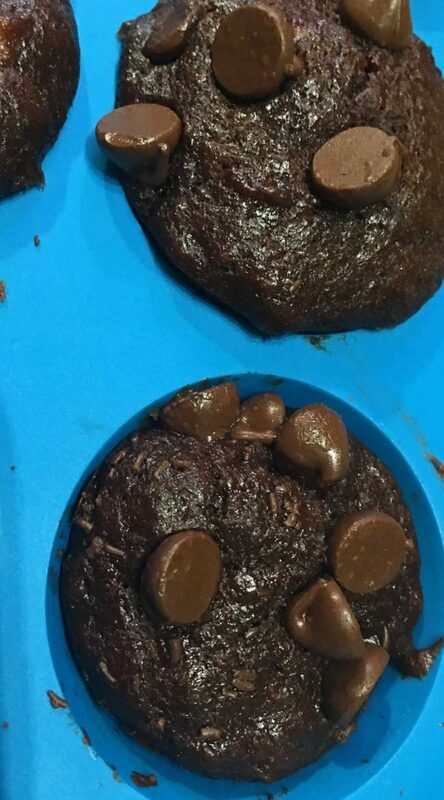 Once the batter is ready, fill the mini muffin molds with the batter, filling about half of each mold and top the batter in each of the mold with 4 to 5 chocolate chips. Place the muffin tray in the preheated oven and bake for 15 to 16 minutes, transfer the muffin tray from the hot oven immediately once the baking is done, to avoid over baking the muffins. Enjoy the muffins for evening snack or breakfast or top with frosting for a yummy dessert! 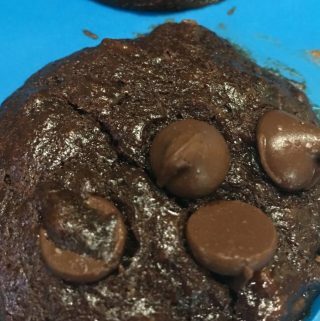 Hope you found this post on eggless mini chocolate banana muffins recipe helpful in making easy, delicious moist chocolate banana muffins from scratch at home.